Stepping into the same rarefied air once occupied by Desi Arnaz, MC Hammer, and J-Lo, Donald Glover has been announced as the host and musical guest for an upcoming episode of Saturday Night Live. 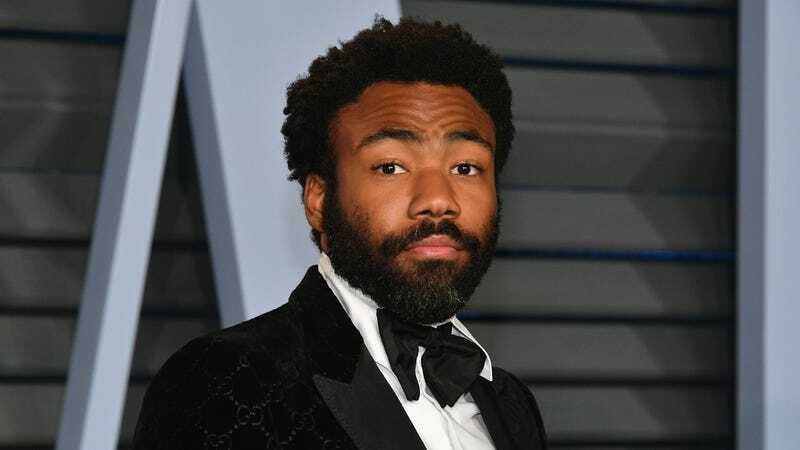 Glover will host the show’s May 5 installment, with his rap persona Childish Gambino providing the night’s musical entertainment. Presumably aware that this is a pretty big get, in terms of up-and-coming talent, the show’s marketing team appears to have deployed the news strategically, tweeting out Glover’s details right at the start of tonight’s episode (itself a much-anticipated return by former writer and stand-up John Mulaney). Glover’s right in the middle of the second season of his celebrated FX dramedy Atlanta, where he’s continuing to push television boundaries; meanwhile, he’s also got that whole “starring in a Star Wars movie” thing on his plate. And, while he’s announced that he’s likely to discontinue the Childish Gambino moniker sometime in the near future, he’s also said he wants to take his music back out on tour before he lets it go.